1. What is your goal for this promotion? 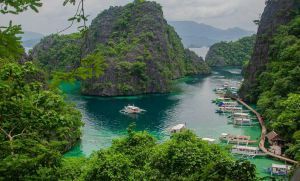 We’d like to get you off your couch and start trippin’ and show you that it’s not expensive to explore and get to know how “awesome” the Philippines is. 2. How can I join? 3. How do I know if I get chosen to participate? You should hear from us within 2 days after you fill out the form. 4. What do you require from chosen participants? We have one simple requirement. You have to write about your trip, take photos and/or videos and let us publish them. 5. When can I travel and when will I get the ₱2K? You choose the dates when you plan to travel. Right after you’ve fulfilled our requirement in (4) above, we’ll reimburse you of your travel expenses (up to a max of 2K). 6. What are the allowed travel expenses for the 2K? When you fill out the participant form, list down all travel expenses. On our reply, we’ll tell you what expense is allowed and not allowed. Some sample allowed expenses are lodging, entrance fees, transportation expenses etc. Food is reimbursable up to a max of P250 only for the whole trip. Shopping expenses are not reimbursable. 7. Can you give us some example? 7.a) Ben wants to chillax in Tagaytay for a 2-day weekend trip. He also wants to ride the zipline at the ridge. Total travel cost for Ben is ₱500. Ben has 2 friends he wants to come with him. So, they can go with him as their cost will also be ₱500 each. 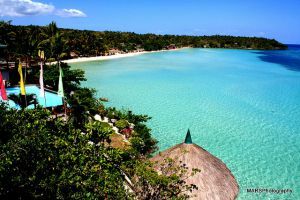 7.b) Mike wants to backpack and explore the beaches of Zambales and Pangasinan on a 2 day weekend. 8. Any legal age requirement for the participant? Yes, Participant should be of legal age. 18 years old and older. 9. Where can the trip start? ** Note: If you have questions that have not been answered above, please contact us. We do not bite. Promise!